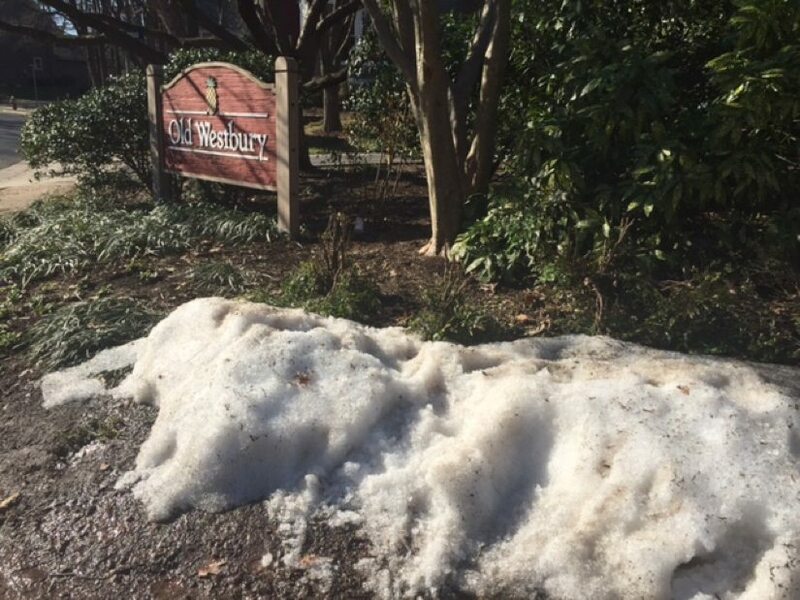 The blizzard of late January is but a memory, save for a few piles of snow that still remain — despite temperatures near 80 degrees — about six weeks later. The one big storm of the winter dumped about three feet of snow on Reston Jan. 23-24. People dug out within a day or two — but snowplows made piles on some streets and sidewalks that reached six feet or more. A few piles remain. Take this one at the corner of Ridge Heights Road and Cobblestone Lane, where a few kids (wearing shorts, because it was unseasonably warm Wednesday) pelted each other with snowballs while waiting for the school bus this morning. Dulles International Airport tied its all-time high for March 9, reaching 79 degrees at 1 p.m.